PHILIPSBURG–National Alliance (NA) Member of Parliament Egbert Doran is not comfortable with the far-reaching powers the Justice Minister and the Financial Intelligence Unit MOT will acquire if Parliament adopts several laws connected to the unit and adherence to international financial regulations. Some six draft laws and amendments are pending approval of Parliament. Several MPs on both sides of the aisle have expressed their lack of support for the laws. This has not deterred Justice Minister Cornelius de Weever from expounding the urgent need to pass the laws and highlighting the risk of financial consequences for the country. Doran had written to De Weever even before the laws were in advanced stages of handling by the legislature, requesting he explain why it was necessary for some of the laws to contain mechanisms that will allow the justice minister and MOT to change course or to deviate from the articles without MPs’ consent. Doran’s original request was sent to De Weever on August 6, 2018. He is miffed that to date, and in spite of various reminders, the minister has seemingly shrugged off the request for clarity. Doran said it is all well and good for the minister to call for a non-partisan approach, but he must honour his commitment to answer questions and provide information. 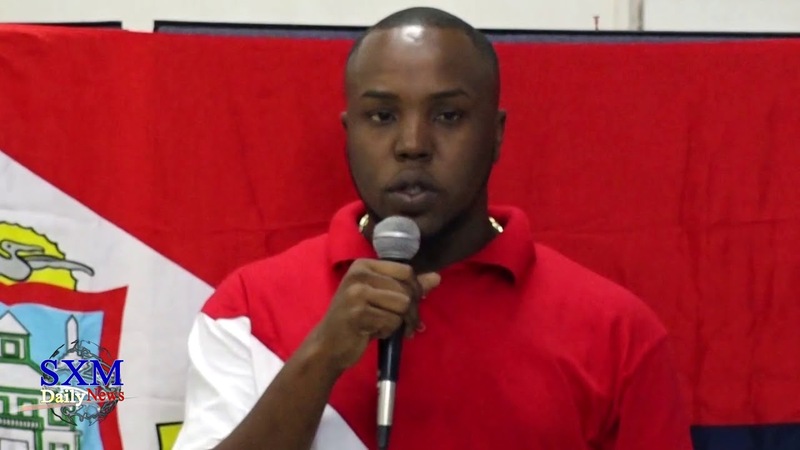 Opposition NA and United St. Maarten Party have both indicated they want to see significant changes to the draft amendment to the national ordinance on combating money-laundering and terrorism financing as well as the one governing the powers of the MOT. These changes, when tabled, can cause the law to be pushed back to the review process, further delaying their implementation. Non-implementation of the law would mean St. Maarten will face sanctions and be labelled by the Financial Action Task Force and its regional arm the Caribbean Financial Action Task Force as a risky jurisdiction with which to do business. Doran’s concerns, like those of other MPs, are that while the international obligations must be met and any economic impact be staved off, allowing unilateral or government changes to legislation without Parliament’s consent is dangerous. “I believe any changes they would want to make in the future have to come back to Parliament,” Doran told The Daily Herald on Sunday. He said his call for better insight from De Weever as to why the law is set up so oddly still stands. “The MOT has a very profound responsibility for St. Maarten on a global level where the monitoring of fraud, money-laundering and terrorist-financing is concerned. … St. Maarten has already received a warning letter due to not having the necessary laws. … It is in this regard and at the highest level of urgency that I ask for an update on the pending laws,” wrote Doran in his August 2018 letter. This need still stands, he said. Dit bericht werd geplaatst in _Sint Maarten, Financiele sector, Politie & Justitie, Politiek, SXM-Daily Herald. Bookmark de permalink .